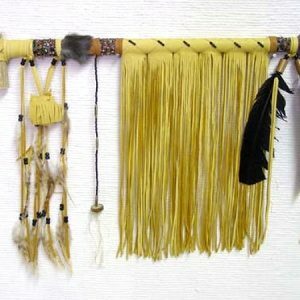 This pipe is handcrafted from natural wood covered with genuine butter soft buckskin and fringe. 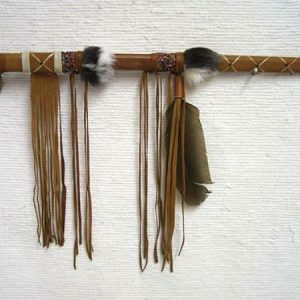 The bowl is made from either deer or elk antler & is smokeable. 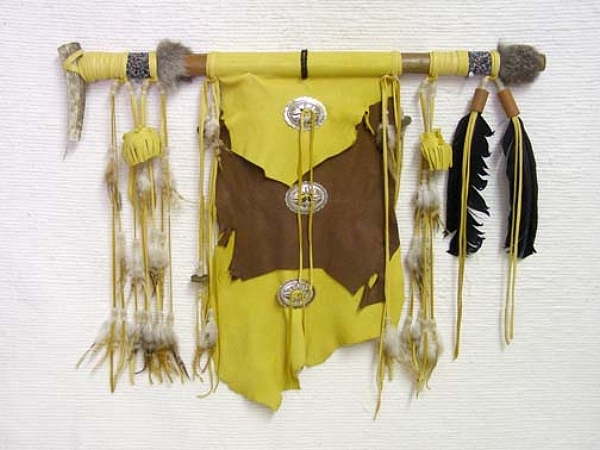 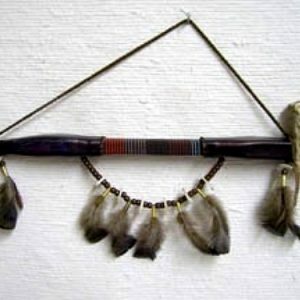 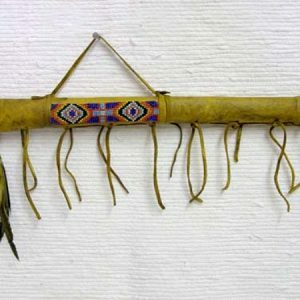 These pipes are decorated with 2 medicine bags, conchos, wooden beads, antler discs, seed beads, pony beads, feathers & fur & measures about 25″ in length.